Piano Recital featuring Nicholas McCarthy (UK), worlds youngest left hand pianist. Nicholas McCarthy was born in 1989 and only began to play the piano at the late age of 14. Born without his right hand, he is one of only a few left-handed pianists worldwide and at present is the youngest sole left-handed pianist so far. At 17, Nicholas was awarded a place at the Junior Department of the Guildhall School of Music in London where he studied with acclaimed concert pianist Lucy Parham. 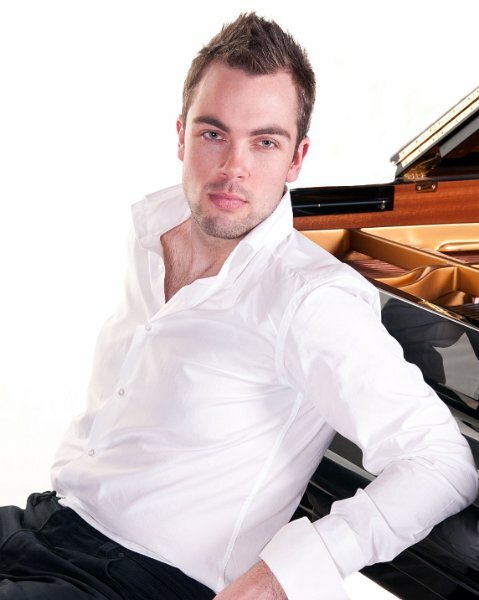 After two years of studying at the Guildhall School of Music, Nicholas was awarded the Annual Piano Prize just before he left the school in 2008. Since this time he has played numerous recitals throughout the U.K., venues including St James’s Piccadilly, St Martin in the Fields, Fairfield Halls, Victoria and Albert Museum, The Lansdowne Club, Bluthner Piano Centre, Chappell’s, Christchurch Cathedral in Oxford and the Vilhena Palace in Malta. His performance at the Vilhena Palace was described by The Times as "sheer poetry." Nicholas has been a regular participant at the Chetham’s International Festival and Summer School in Manchester. His time spent at the festival has seen Nicholas take part in master classes with concert pianists such as Peter Donohoe, Martino Tirimo, Philippe Cassard and Margaret Fingerhut, all of whom expressed high acclaim for Nicholas' playing. Since September 2008, Nicholas has been a student at the Royal College of Music in London where he studies with Nigel Clayton. Recently Nicholas was awarded the prestigious international AMI Award for his creative excellence in music and was presented this prestigious award at a ceremony held at The London Studios.